The 2012 CD and Concert Film, Like A Bridge, form the centerpiece of The Bridges Project, which also includes education and international exchange. During the four years of implementation of The Bridges Project, numerous cultural and educational exchanges with France and Italy have taken place and two stage shows, French-themed and Italian-themed, have become part of Twist’s repertoire. 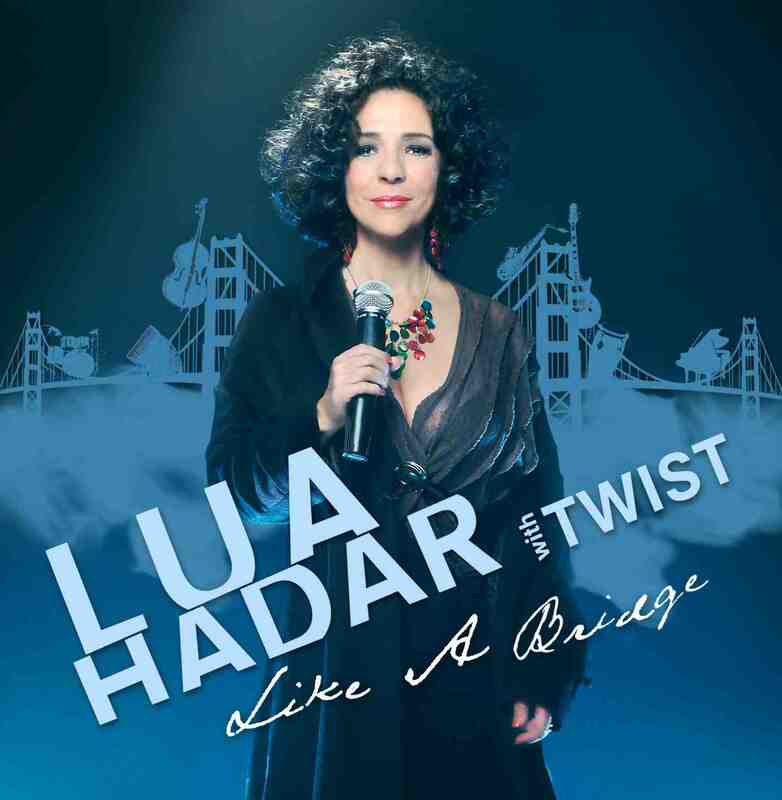 The Like A Bridge CD and Concert Film feature cosmopolitan jazz by vocalist Lua Hadar and her 6-piece ensemble, TWIST, with songs from around the world as well as American jazz standards performed with the band’s signature ‘twist’ in styles — from samba to swing and beyond. Lua Hadar sings in seven different languages (English, French, Italian, Spanish, Japanese and Malagasy, the language of Madagascar) in this recording, which uses the Bridge as a metaphor for the connections we can make with each other to foster world unity and harmony. For a description of each song, go to the Like A Bridge Concert Film page. As of September 2016, the Like A Bridge full-length Concert Film can be downloaded online. The core band is comprised of Music Director Jason Martineau on piano, Dan Feiszli on bass, Celso Alberti on drums, Ian Dogole on global percussion and Larry De La Cruz on reeds. Guest performers on the CD and DVD include cellist Emil Miland (who made his Carnegie Hall debut in 2010), koto player Fumiko Ozawa, jazz accordionist David Miotke and South African singer Gideon Bendile and members of his Kalahari Experience Zulu Choir. The Like A Bridge Concert Film was recorded along with the CD at Fantasy Studios and was directed by Lawrence Jordan, who has directed for Tony Bennett, Eddie Izzard, Sting, Mariah Carey, Billy Joel, George Michael, Vanessa Williams and many more. The Live Concert presents Lua Hadar, the full band and guest performers, including South African singer Gideon Bendile and his group, Kalahari Experience, singing in Zulu on a French language world beat song about immigration rights, also written by French pop star, Maxime Le Forestier. 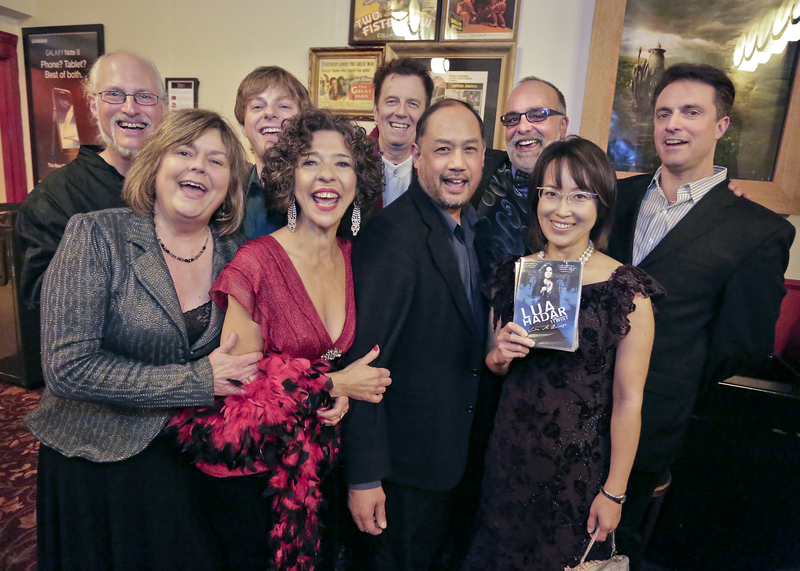 The DVD received its premiere screening at San Francisco’s own historic Balboa Theater on November 15, 2012, and had its official release at Yoshi’ Jazz Club in 2013. During that collaboration in Lille, Hadar worked with members of bassist Albin Suffys’ Musiconoclast’ Orchestra. Drummer Tohery Ravaloson later suggested a song from his native country, Madagascar. Raha Mbola Misy is performed on the new recording, featuring reed player Larry De La Cruz on flute, complementing Hadar’s Malagasy language vocal. Another notable French connection came from Hadar’s June 2011 meeting with French pop star Maxime Le Forestier, on the 40th Anniversary of his song about a Blue House in San Francisco’s Castro district. The French language San Francisco appears on both the CD and on the DVD. Educational collaborations with Japan have introduced Lua to koto player Fumiko Ozawa, who made her koto orchestra debut at San Francisco’s Herbst Theater. She guests with TWIST on their interpretation of the Japanese 1963 pop classic Ue o Muite Aruko (Sukiyaki), honoring the dignity of the Japanese to “walk with their heads up’” after the devastating earthquake and tsunami of March 2011. TWIST was honored to perform this song at Yoshi’s Jazz Club and Japanese Restaurant on the first anniversary of the Tsunami, March 11, 2012, in a show previewing the new recording. Guest cellist Emil Miland made his Carnegie Hall debut in 2010 with Frederica von Stade in her farewell recital. In the same week he made his jazz debut with TWIST at New York’s Cornelia Street Café, and has contributed to Like A Bridge on the mystical Antonio Carlos Jobim song, Imagina.